REQUIREMENTS: Medical Form must be completed by students in advance. Universal Referral Form for non-PADI divers. 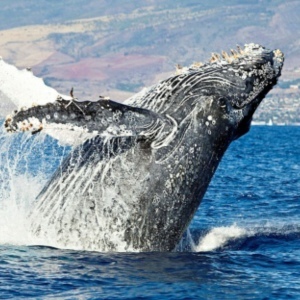 Complete your Open Water Certification course open water dives with Maui Dive Shop. The Open Water Referral program will allow divers to complete their 4 open water dives with referral paperwork from their local dive shop. Students will complete 4 open water dives over the course of 2 afternoons (two dives per day). Students, from many agencies such as SSI, PADI, SDI, NAUI, IDEA, and PDIC, for example, who have completed all confined water (pool) sessions and all academic training with a certified SCUBA instructor within the last year will proceed to Open Water Training. If it has been more than 6 months since the last training session, divers may want to schedule a skills review to enhance your safety and success with the Open Water Dives. Upon successful completion, Open Water Referral students from all agencies other than PADI will receive documentation of the completion of the Open Water Training Dives and will need to return the completed referral documents to their original instructor/dive shop to receive certification from the training agency. PADI Referral students will receive certification as PADI Open Water Divers. Enhance your course experience by adding a 2 tank boat dive on our dive boat, the Maka Koa, for your second day of open water dives (open water dives 3 & 4; available on Sunday, Tuesday, Thursday & Friday). 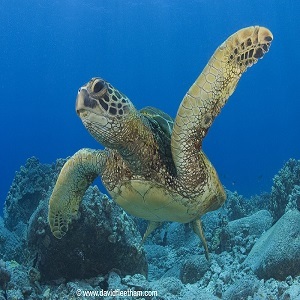 Make it exclusive by adding a private dive master for an additional daily fee. WHAT TO BRING: Referral documents (Non-PADI Referral Students), dive tables, logbook, personal gear (mask, snorkel, fins, and boots), towel, sunscreen, sunglasses, lunch or lunch money, and cash for gratuity. You may want to bring snacks and drinks. Certification Card required if diving as a Certified Companion. PREREQUISITES: MEDICAL FORM MUST BE COMPLETED IN ADVANCE: Please download here. 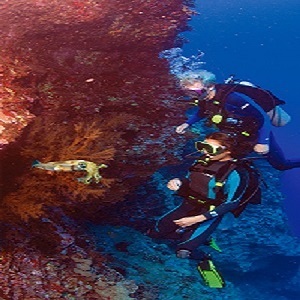 Referral documents indicating entry-level SCUBA course segments completed within the previous 12 months with a certified SCUBA instructor and an appropriately completed Medical Statement. Course materials required for the Open Water Diver certification by the agency through which they began their training. This may include but is not limited to the student manual, dive planning table or calculator, logbook, DVD or access to the online learning tools. If the student does not have their materials needed for the remainder of their class available they will need to purchase them to use during the remainder of their class. Students, from many agencies such as SSI, PADI, SDI, NAUI, IDEA, and PDIC, for example, who have completed all confined water (pool) sessions and all academic training with a certified SCUBA instructor within the last year will proceed to Open Water Training. This program is normally conducted on two afternoons. You will participate in a brief readiness assessment which will allow you to become familiar with your instructor, our equipment, and the environment. These students should book the “Student” rate. This will cover the 4 open water dives required to complete your certification. 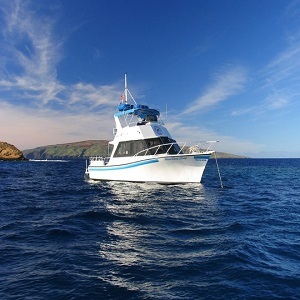 Enhance your course experience by adding a 2 tank boat dive on our dive boat, the Maka Koa, for your second day of open water dives (open water dives 3 & 4) for an additional $99.00 plus tax. 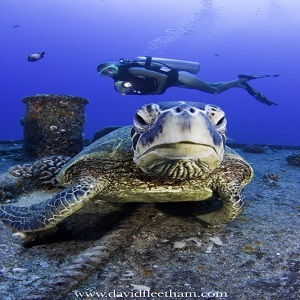 Make it exclusive by adding a private dive master for an additional $250.00 plus tax per day (requires 2 days). Choose the date of your first day (Open Water Dives 1 & 2) in the calendar below. Enter the date you would like to do Day 2 (Open Water Dives 3 & 4) in the text box below the calendar. If you are adding on the boat dive, you will enter the date of the boat dive (available Sunday, Tuesday, Thursday & Friday). The two dates do not need to be consecutive. PLEASE NOTE: If it has been more than 6 months since your last training session you may want to pay for and schedule a skills review to enhance your safety and success with the Open Water Dives. Please contact us at 1-800-542-3483 for details. Certified companion divers can add on to any open water dive sessions (one or both). Additional boat dive costs apply, if applicable.